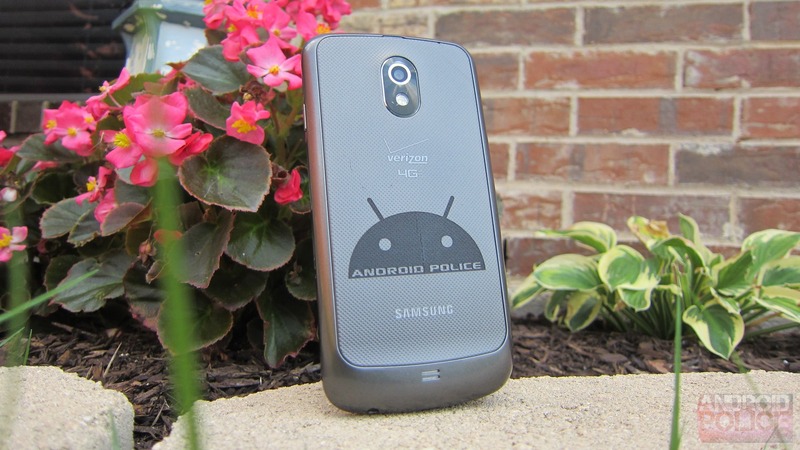 My first Android phone was the original Motorola Droid. The day it was released I happened to walk into Verizon to get an issue with my bill cleared up; I had been following the Droid leaks for some weeks before, so I was really excited to check it out in person. I walked in, picked it up (along with the Droid Eris), and played with it for a few minutes before explaining to the salesperson what Android was. It was so new that she had no clue what I was talking about. I didn't actually buy the phone that day, though – it was some months later before I actually picked one up when my dated Motorola Q kicked the bucket. I'd be lying if I told you that phone didn't, quite literally, change my life. Had it not been for the Droid, I wouldn't be here today, writing the words that you're reading. Sentimental as it may be, that phone will always be very special to me. 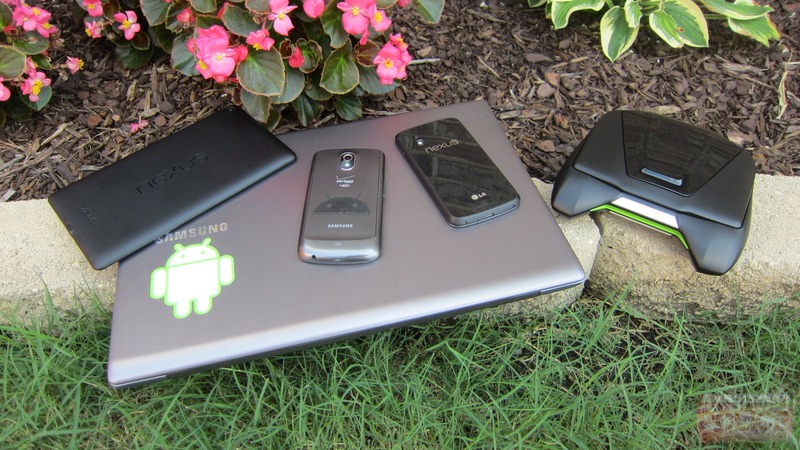 A lot has changed not only in my personal device collection, but in the Android world in general since the Droid was released roughly four years ago. In fact, mobile tech is increasing at such a fast pace, a lot can change in as little as a year, which brings us to this piece. Nearly a year ago, we started up the "What We Use" series, highlighting all the gadgets and other junk that we AP writers/editors use on a daily basis. We decided it was time to give it another go. Since no further explanation should be needed at this point, let's just jump right in. 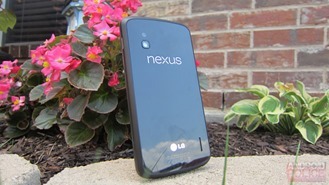 This time last year, I was rocking a Galaxy Nexus (which I still carry – more on that in a bit). Naturally, when the Nexus 4 was released, it was time for change. 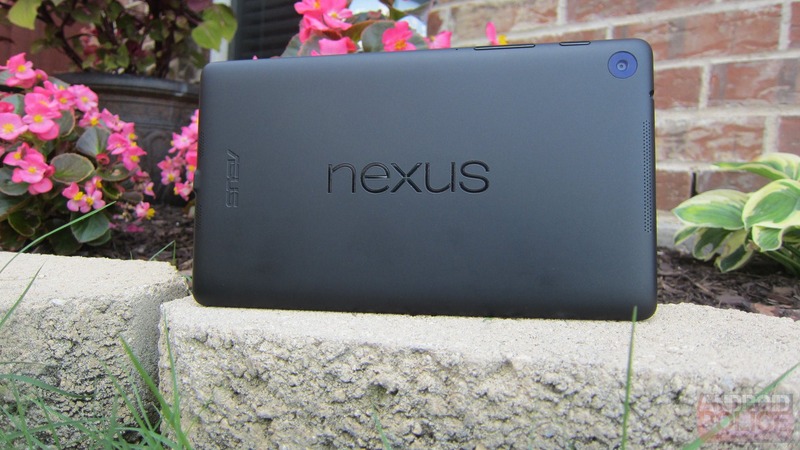 I was able to get my N4 order in on launch day, and promptly got my phone... some weeks later. After nine months with the N4, I still love it as much as I did the day I got it – and I've yet to flash a custom ROM onto it. 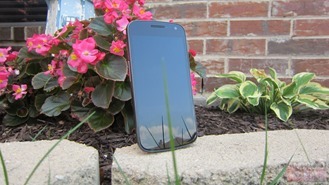 That may come as a shock to some, but stock Android is just so good these days I have no need to use anything custom. The bootloader is unlocked and it's rooted, but that's the extend of the customizations I've done up to this point, and I don't really see that changing any time soon. As I said earlier, I still carry my Galaxy Nexus daily, but I don't use it for calls and/or texting. This is my workhorse phone – when I need to flash something, try a potentially damaging root app, or do anything else that may cause the system to be unstable, this is the phone I grab. Since I'm still on contract with VZW, the GN also serves as my portable hotspot when I go out of town or just feel like working away from home in an area that may not have Wi-Fi. Verizon's LTE is blazing fast most of the time, so I'm sometimes able to get speeds that are even faster than my home Internet. That said, once my Verizon contract is up in December of this year, I'm not convinced I should renew – it makes more sense to drop Big Red altogether, get an AT&T LTE device (the new Nexus phone, perhaps? ), and just up my data plan. That would save money long-term, anyway. 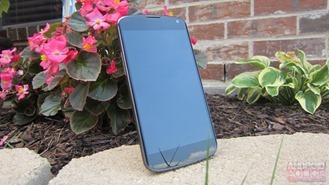 What it's running: stock, rooted Android 4.3 with stock recovery. Wi-Fi only. 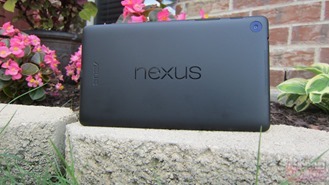 Shortly after the NN7's release, I upgraded my now-weary 2012 Nexus 7 for its newer, spunkier successor. 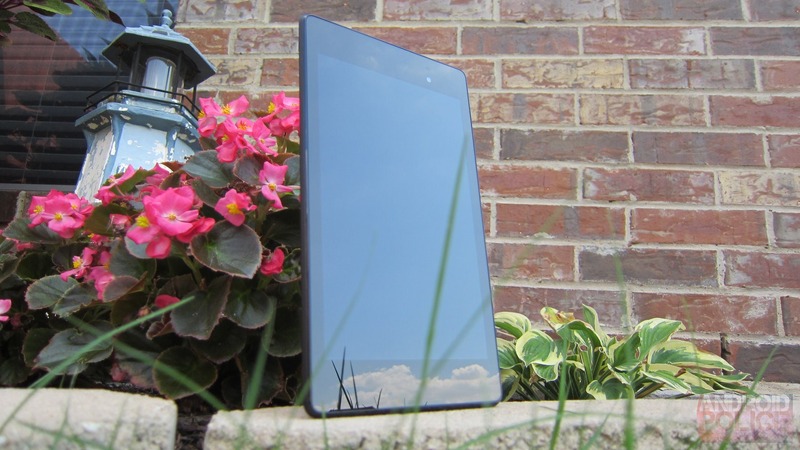 While it may be faster and have a better display, I didn't really feel like I was upgrading to a new tablet, but rather just a fresh version of original Nexus 7. Still, it was a worthy upgrade, and I thoroughly enjoy this tablet. What it's running: stock everything. 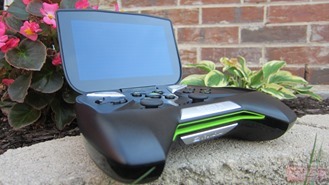 NVIDIA's portable gaming console may not be for everyone, but I've had a lot of fun with mine. I much prefer games with a physical controller (touch controls have never been my thing), and SHIELD is as solid as a rock. Games are simply more fun on SHIELD, so I spend more time playing (and enjoying) the things I've paid for. 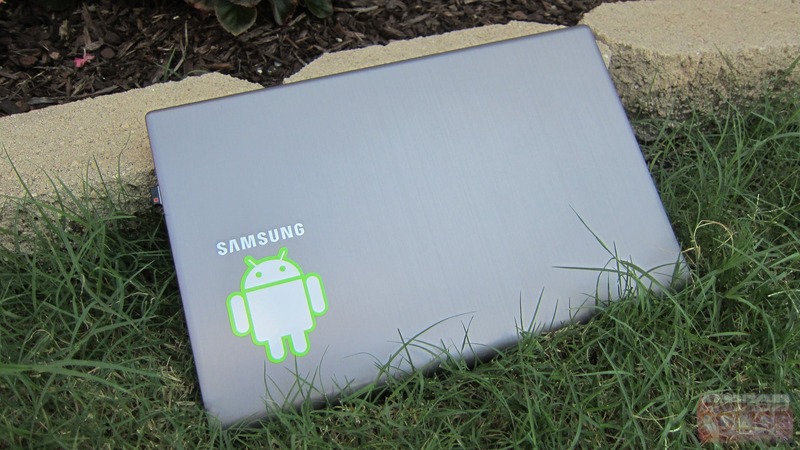 It's also the absolute fastest Android device I've ever used, which makes me want to pick it up even more often. Of course, there are a couple of things I'd change about it – namely the display. I'd love it if NVIDIA could've squeezed a 6-inch (or thereabouts) display in the same form factor and eliminated more of the bezel. Otherwise, I still think SHIELD is worth every penny of its asking price, especially for anyone who likes to play Android games. 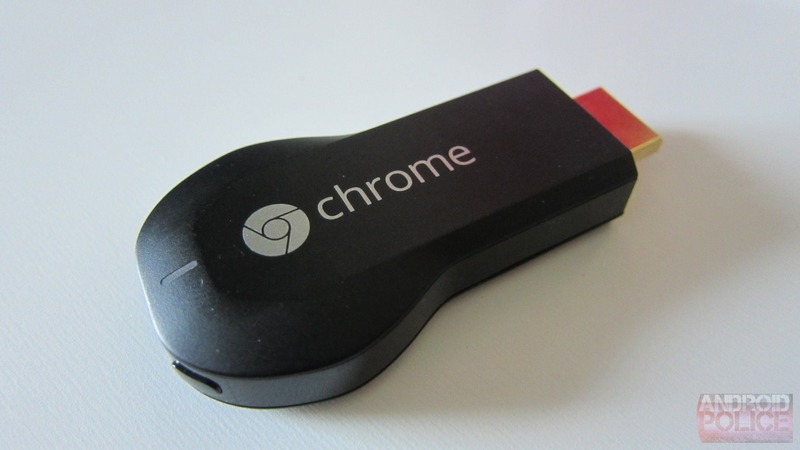 What it's running: You know, Chromecast stuff. The Chromecast is the simplest and most affordable of gadgets, but it's also one of the most brilliant that I've used in recent years. It makes things that we all love to do – watch YouTube, movies, TV, etc. – amazingly easy. I absolutely love my Chromecast and never want to go back to the "old way" of consuming the content it supports. I'm looking forward to the future for this device to see what Google cooks up as time goes on. Just like with hardware, the apps I use on a daily basis have changed quite a bit over the past year, though perhaps not as drastically. I figure it's pretty much a given that I use Gmail, Chrome, Google Music, Dropbox, Netflix, and many other popular apps, so I'm going to leave those out and focus on some of the more "obscure" things. While I generally use a very different set of apps on tablets vs. phones, I'm just going to lump them all into one list – they can easily be used across devices. NOVA Launcher – It's just my favorite custom launcher. Foldersync – Same reasons as last year – I can't function without it. SoundHound – For when I just have to know what that damn song is. Swiftkey/SK Tablet – Because it's hands-down the best keyboard. Pinterest – It's not just for girls, so stop thinking it is and give it a try. Pandora – My love for Pandora was only recently re-awakened while on a long road trip. It uses a fraction of the data of Music, which helped me stay within my data plan while in the car for 14+ hours each way. 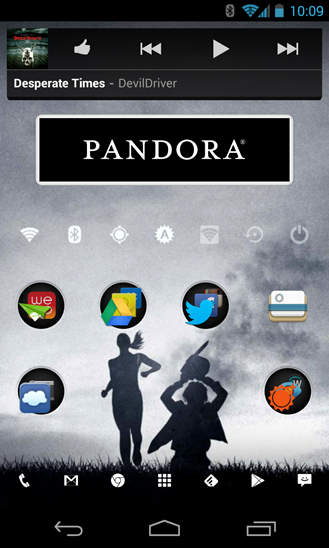 Pandora One is easily worth four bucks a month. 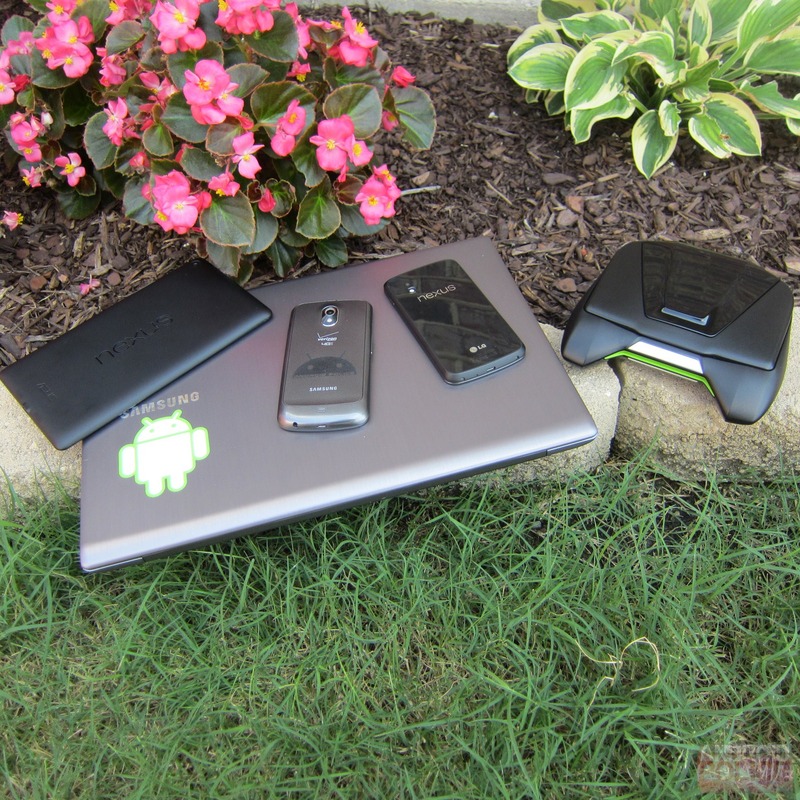 AirDroid – Sometimes I'm just too lazy to pick up my phone. Pocket – Another app that I've only recently started using, but comes in incredibly handy. Simple – Absolutely incredible online-only bank. The customer service is unmatched. Accuweather/Platinum – I love weather apps, and Accuweather is not only the most accurate, but it has a fantastic layout. Play Magazines – Because paper mags are still old hat. YouVersion Bible – Words to live by. MightyText – This is the fourth and most recent cross-device SMS app I've used in the past year, and it's easily my favorite. The support is fantastic, too. 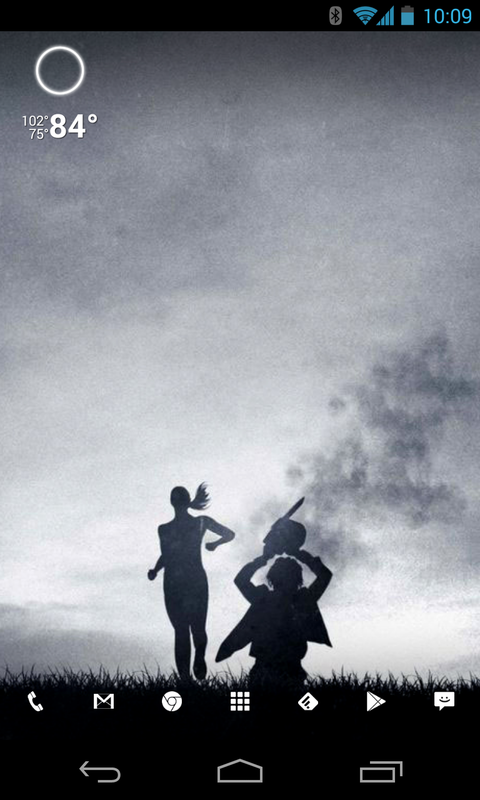 Timely Alarm Clock – Because I like to wake up to pretty things. gReader/Press/Feedly – They all do the same thing, just in a slightly different way. And I love them all. SwitchPro Widget (Holo theme)– I've been using this widget for like twenty-six years. And I don't ever see that changing. 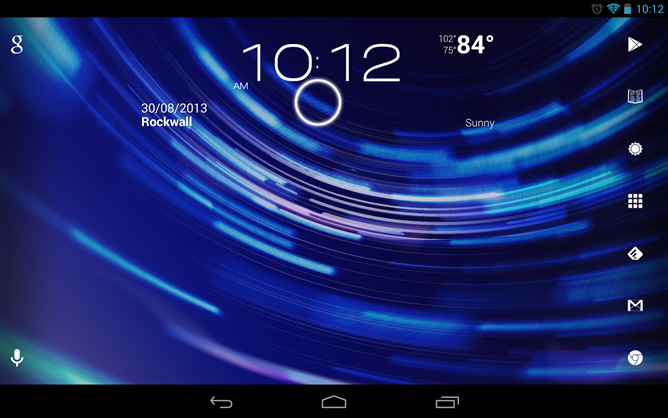 Beautiful Widgets (free version) – Same with this one. It just keeps getting better. The Walking Dead: Assault – I reviewed it, and I loved it. So I kept playing it. The Room – Easily one of the best puzzle games of all time. Contra: Evolution – I hate touch controls. Hate. Hate. Hate. But I love, love, love, Contra, so I'll make an exception here. I'm still hoping for SHIELD controls in a future update, though. Canabalt HD – It's addictive, and the soundtrack is fantastic. Despite the simple controls, it's amazing on SHIELD. Into The Dead – Zombies fill me with glee. And a tiny bit of fear. Fran Bow (Alpha Demo) – I can't wait for the full version of this game. Riptide GP2 – The original is one of my all-time favorite Android games, and GP2 takes it to a new level... and the one after that. Asphalt 8 – Graphically beautiful, and works well on SHIELD. All around fun, too. GTA III/Vice City – Old school action! Believe it or not, most of my other stuff hasn't changed much since last year. I still have the same desktop (which I still don't really use that often), and I haven't gotten a new laptop, either. I did, however, install SSDs in both computers – upgrades that I'm not sure how I ever lived without. If you're looking for a massive speed boost to your machine, an SSD is the way to go. Go for a quality drive, though – you won't get the same result with some of the el-cheapo crap out there. This is definitely one case where you get what you pay for. I also updated both PCs to Windows 8 Pro. Win8 has gotten a lot of flack, and I'm honestly not sure why. I've loved it since day one (I never use "metro" apps, so that's irrelevant); I think it's the fastest and most stable version of Windows to date. I'm definitely looking forward to 8.1 though, as the return of the start menu and ability to boot directly into the desktop are both welcome additions in my book. Past that, I'm still using the same camera for the time being, though my wife and I are planning on finally jumping to DSLRs sometime in the coming weeks. I'm beyond ready to leave the point-and-shoot world behind. This time last year, I was using the SPIGEN Klasden Levanaus backpack to carry all my junk in. I've since switched to a Powerbag Backpack (that I picked up from Vault for less than $15), and it's amazing. Not only can it juice my gear, but it holds a ton of extras. 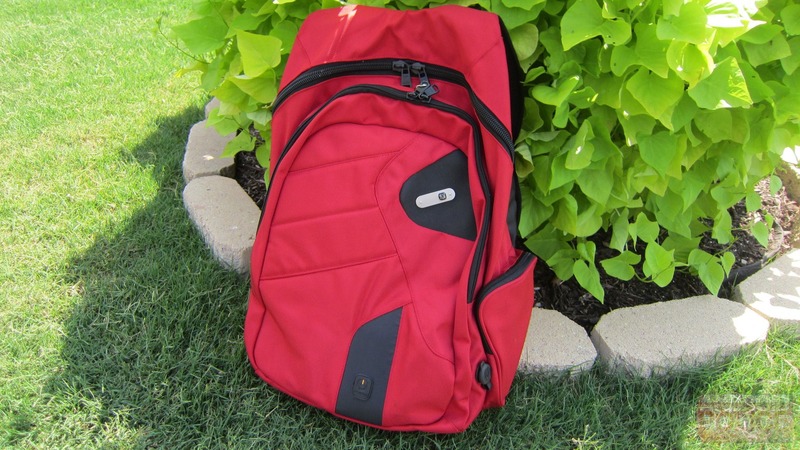 I could honestly go out of town for a weekend and need nothing more than this backpack – it can easily hold my phones, tablet, SHIELD, some clothes, and enough toiletries to keep me from being a disgusting slob for three days or so. Plus, it's red, which is always a good choice. Love it. I do wish it had a bottle holder, though. Is that really too much to ask? Hand Stylus – I don't always use a stylus, but when I do, it's always Hand. 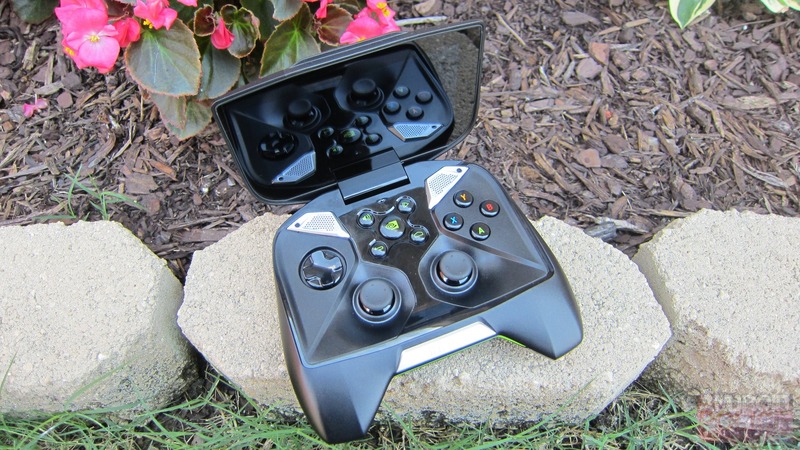 Griffin PowerDock 5 – I have a lot of devices, and I need to keep them charged. The PowerDock makes that pretty easy. Expect a full review in the coming weeks. 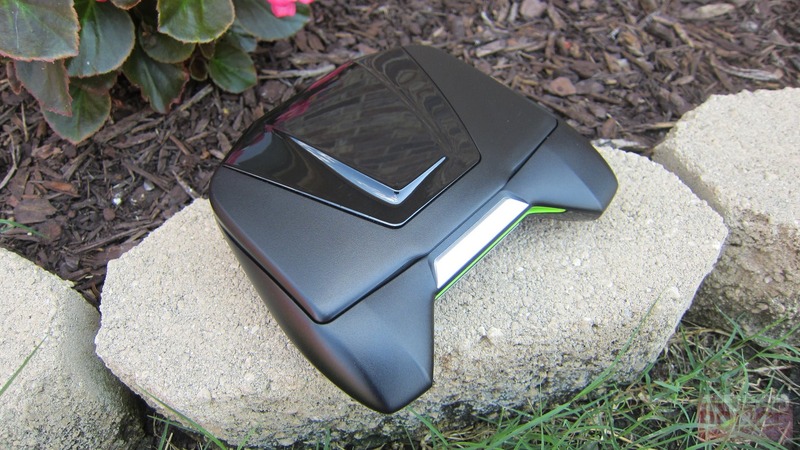 Headblade ATX – Yep, still shaving the old melon with the Headblade. You didn't think I'd go without mentioning it, did you? Throwing stars, a katana, and a few extra bandanas, just in case – Nah, just kidding. I think that about sums up my go-to stuff for now. As always, drop any questions or comments down below. I dig feedback.